Brightest Blessings everyone! Have you all had a good holiday season? I sure did! I have the new work area and everything was merry and bright. I decided not to put up a Yule tree this year, too many kittenish cats for that. 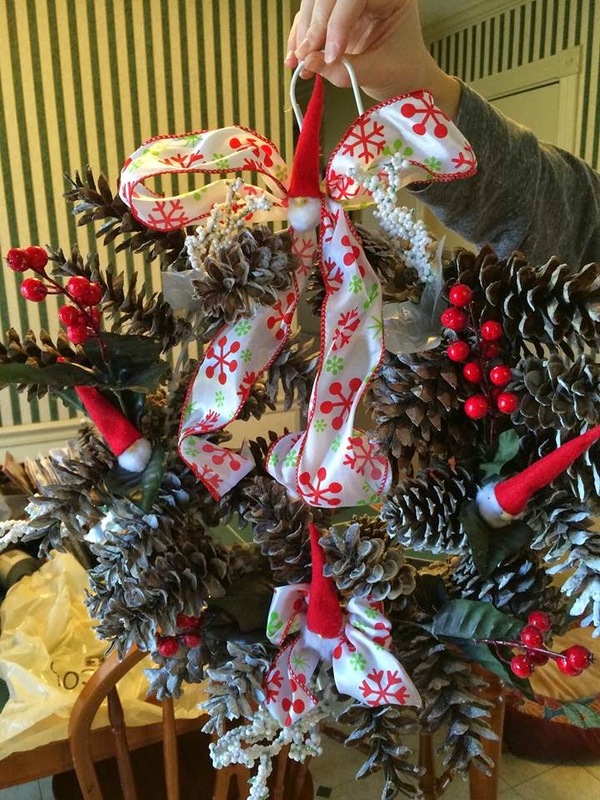 I have several antique ornaments and I didn't want them ruined. I did buy a few things to put up in place of a tree. I love the Tomtes and I found a couple here and there. 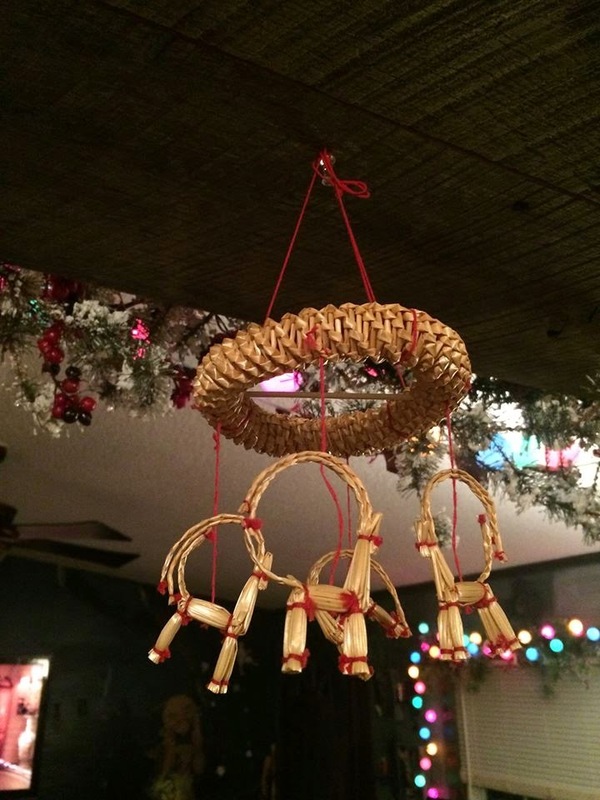 I found myself a lovely little mobile with Yule goats, I made a wreath with my daughter and made some gnomes for it. 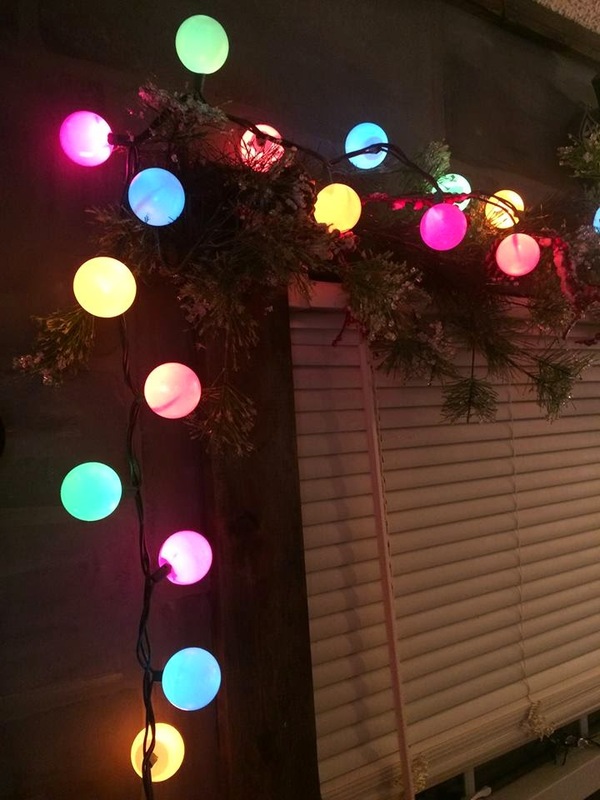 I saw a lovely idea on Pinterest using ping pong balls on lights and I made that, and they turned out quite well. So, even though I decided against the tree this year, my home was still festive. 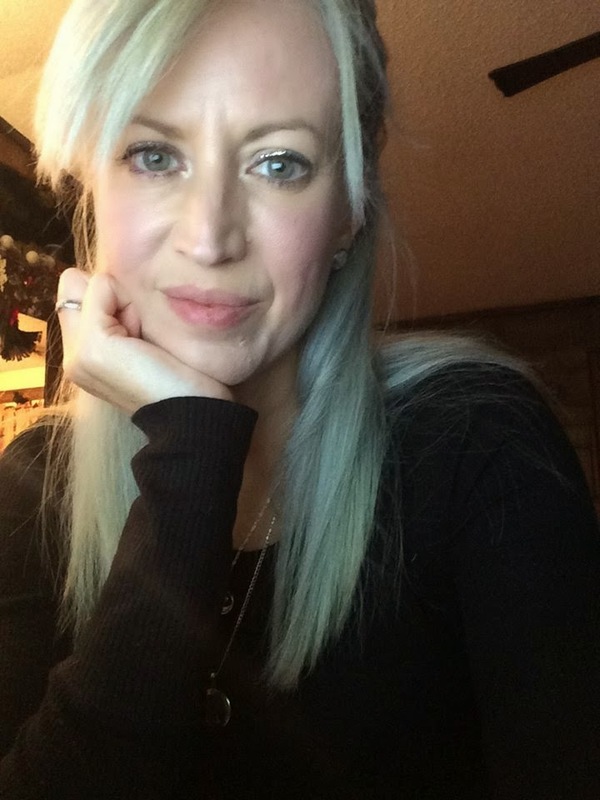 I also decided to go a new color with my hair. Here's a few pics of everything and links to the pins that I found for these. Next, my daughter and I made some crafts for our home. 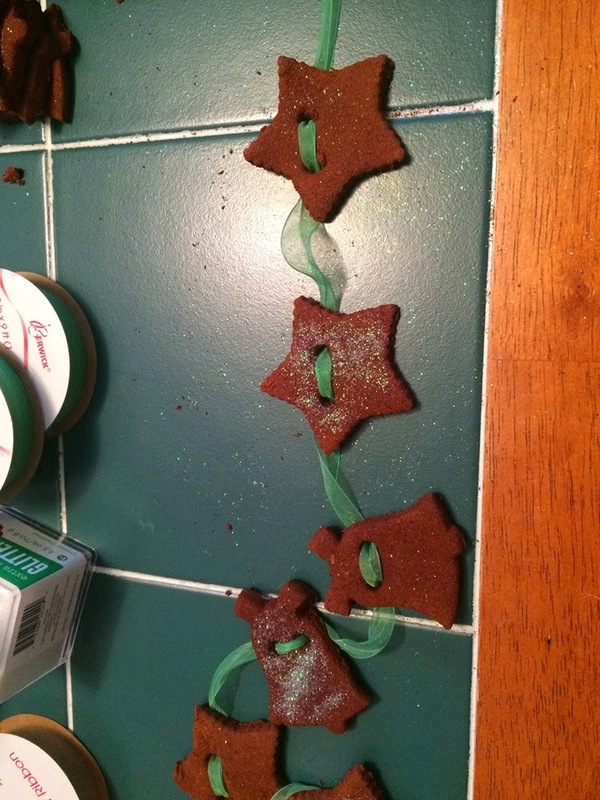 We made cinnamon ornaments and turned them into garland. 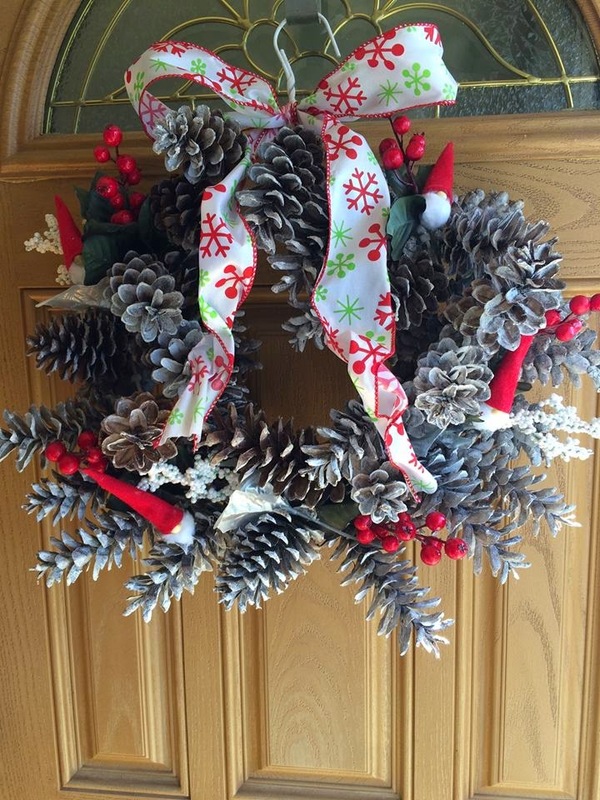 Next, I found a pin that used pinecones as the base of a wreath. I had been picking up pinecones for days on my walks with Tesla, my pittie. 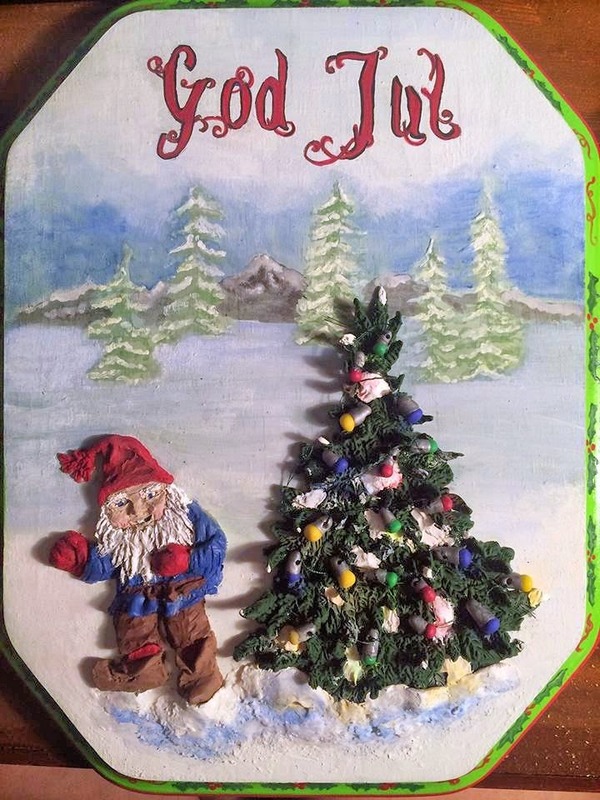 We decided to make this one, but I also added a few gnomes to it. 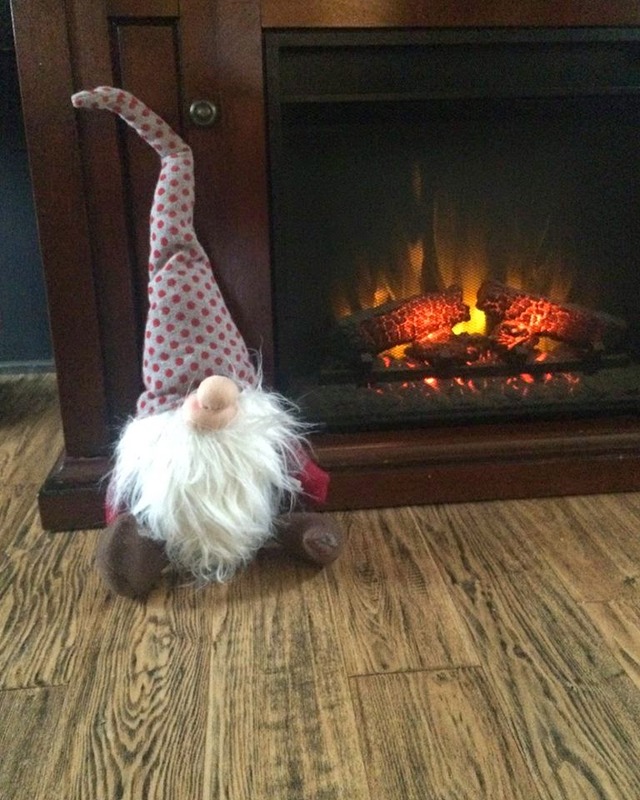 The gnomes were another pin that I found. 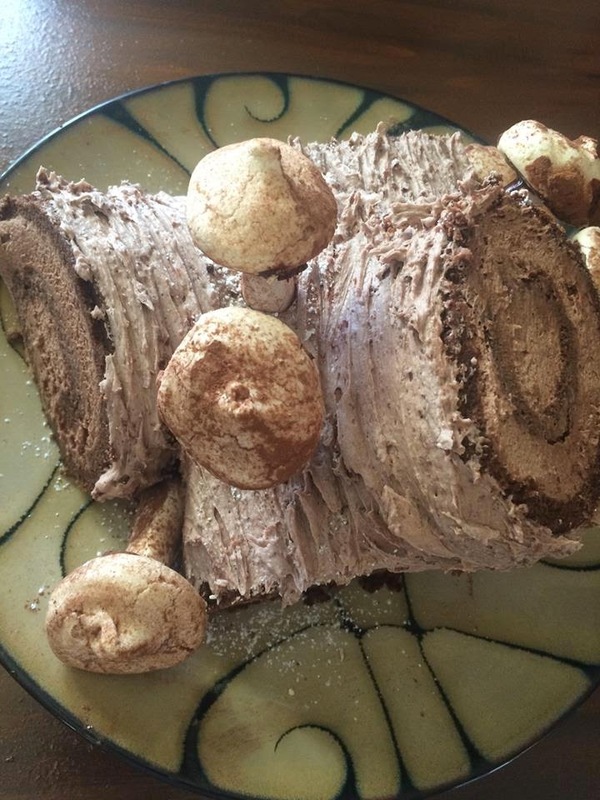 I made my first Yule log cake! 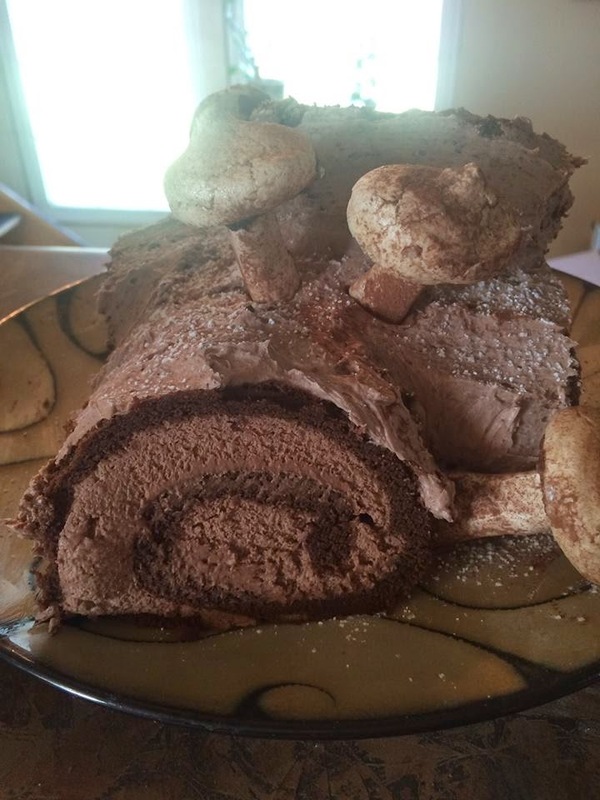 I found a gluten free recipe and I even made the little mushrooms for decoration. 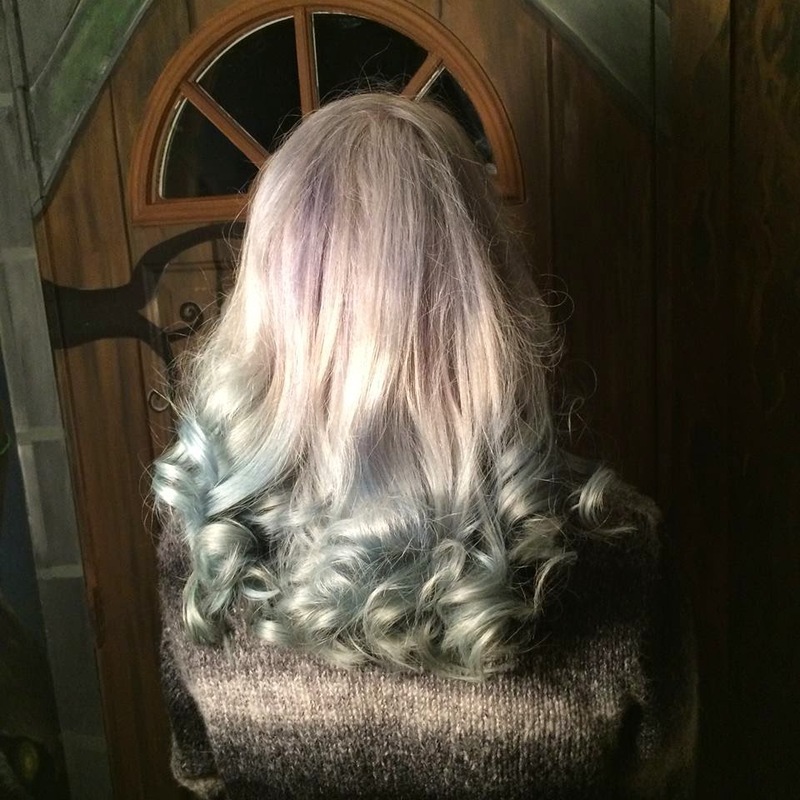 And I had my hair colored a beautiful silver color with blue ombre, which I adore and plan to keep for a while. 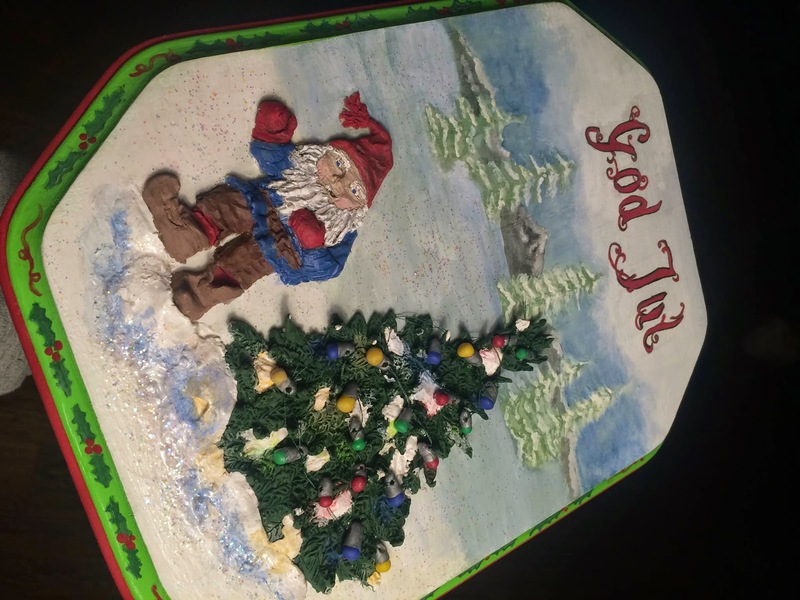 All the Tomtes and vintage swedish Christmas cards on pinterest had my art wheels grinding in my head and I made a new plaque. I love the look of the vintage cards, some with glitter. 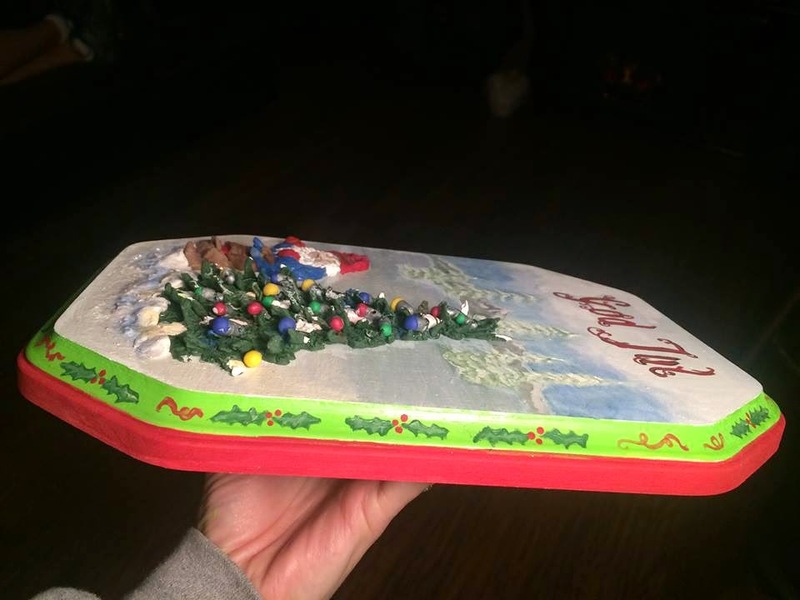 This is a 3D plaque. I painted the background picture and then I create the main pic with clay. 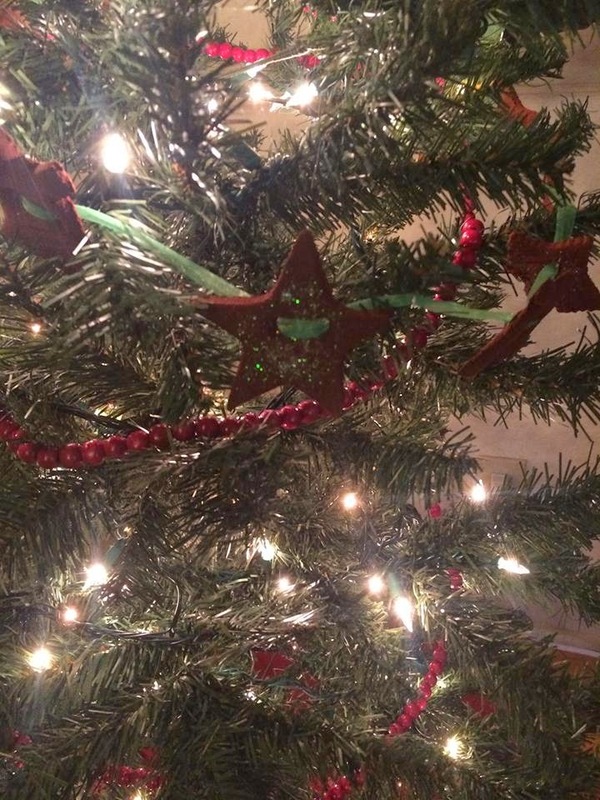 I made each of the little lights on the tree and strung them on green thread and placed them on the tree. 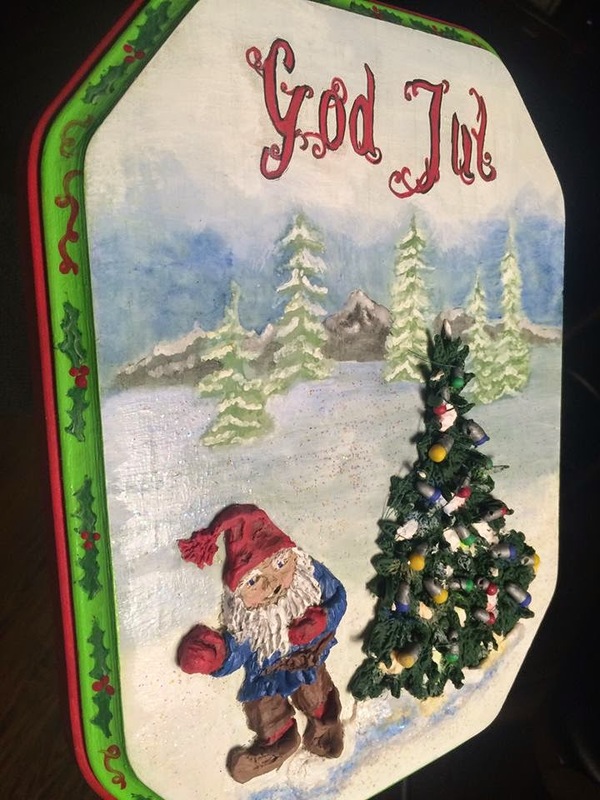 I placed holly around the edge and put the Swedish "God Jul" at the top which means "Merry Christmas" or "Good Yule". This lovely plaque will be listed in my shop this week. I have another that I am going to make, plus I'm going to begin work for the Imbolc edition of Imramma Magazine! I hope each and every one of you had wonderful holidays with your families and I hope to have more pics soon. In the meantime, here are some pics of my latest plaque!